The villa has in total 206m2 which is upstairs 98m2 included covered in terrace with glass curtains overlooking the pool and garden with fruit trees. Large garage of 110m2 with double doors (1 electric) with inside staircase going up to the living room. 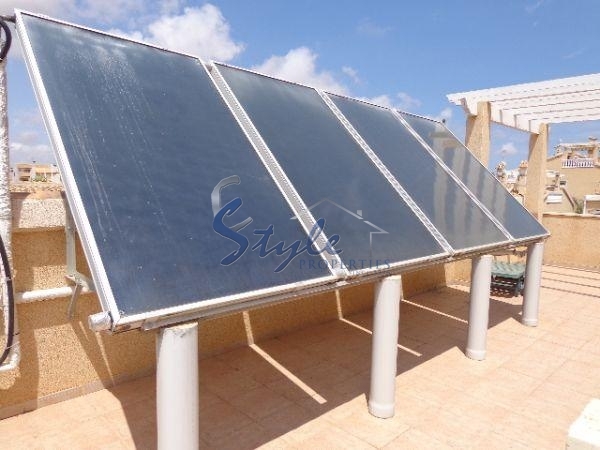 The villa has many extras with central heating on gasoil and running on solar panels and also these panels give 300 liters of hot water. Also water filter and softener system. New high standard kitchen with most expensive trademarks of white goods for dishwasher oven and microwave and special fridge all build in. 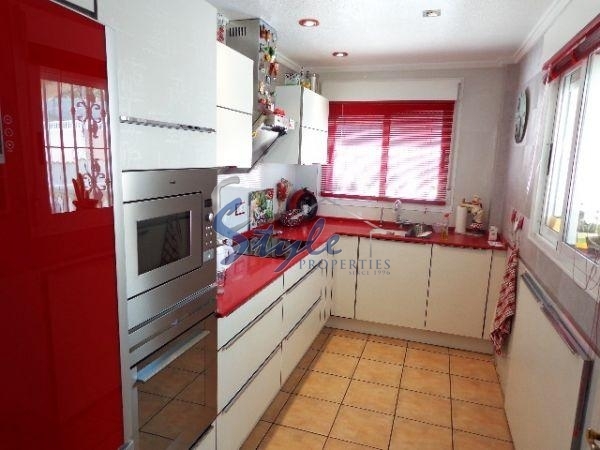 This nice villa on a plot of 450m2 is located in a quiet area near all amenities with originally 3 bed 2 bathrooms but has taken out 1 bedroom to make the living room much bigger. To put the 3rd bedroom back in place is just to put in wall and a door because the wardrobes are still there. In the living room is also a fire place. 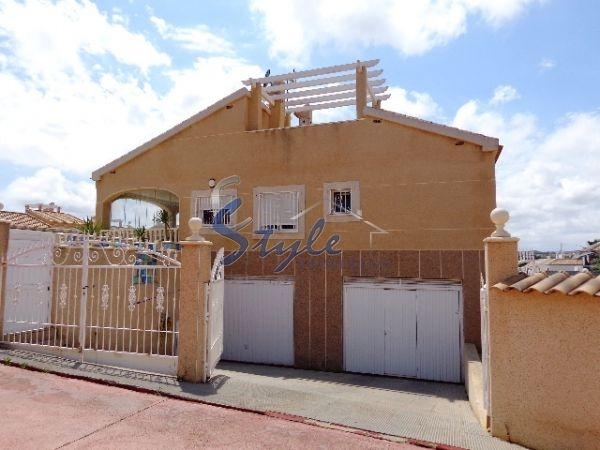 Large garage with double doors of 110m2 with inside staircase. The villa has many extras with central heating on gasoil and running on solar panels and these panels provide 300 liters of hot water. New high standard new kitchen with most expensive trademarks of white goods for dishwasher oven and microwave all build in. 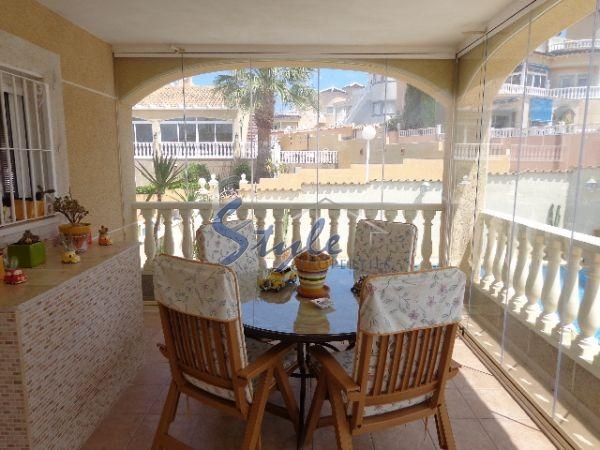 Outside nice partly tiled terraces and mature garden. 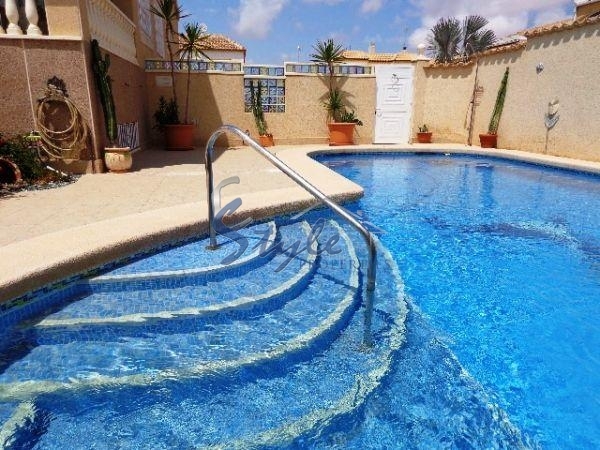 Very large 9 x 5 salt water pool (low maintenance) with Jacuzzi integrated. Must be seen. To many extras to mention. We have received your request regarding the property reference: 460. One of our agents will contact you as soon as possible.